1Core and chop apples (thin slices or 1 inch chunks). 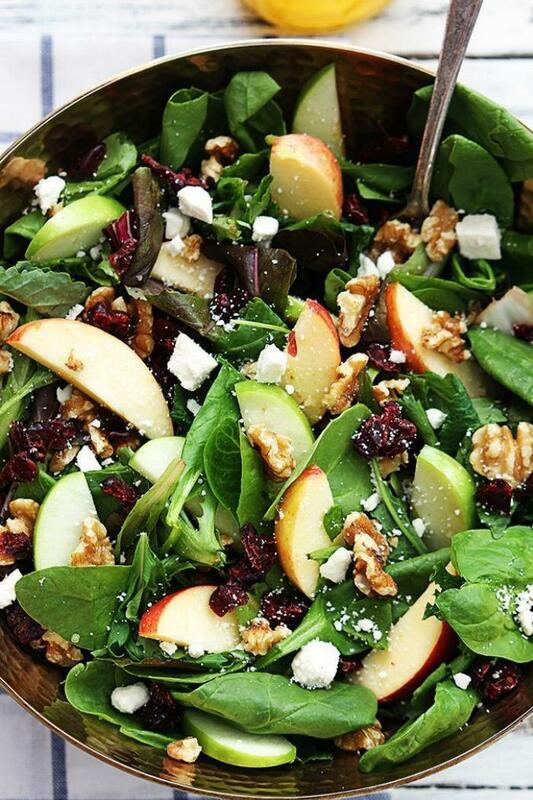 Toss lettuce, apples, walnuts, feta, and cranberries together in a large bowl. 2Whisk together all dressing ingredients. Toss with salad immediately before serving.